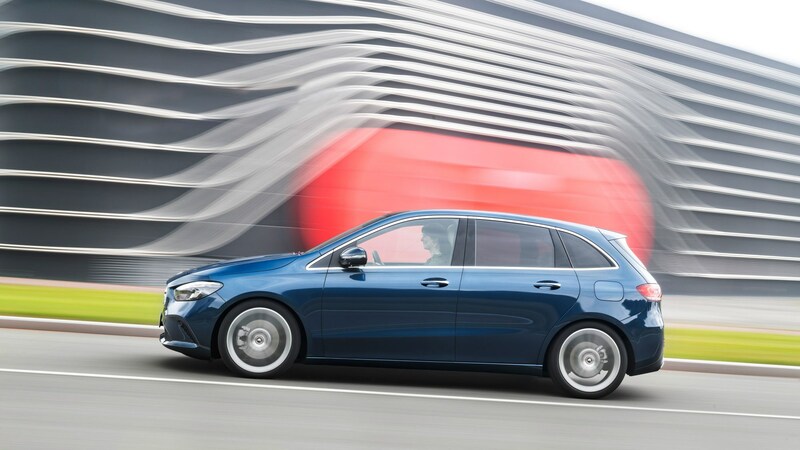 The Mercedes-Benz B-class is back, and it’ll be for sale in the UK early next year. 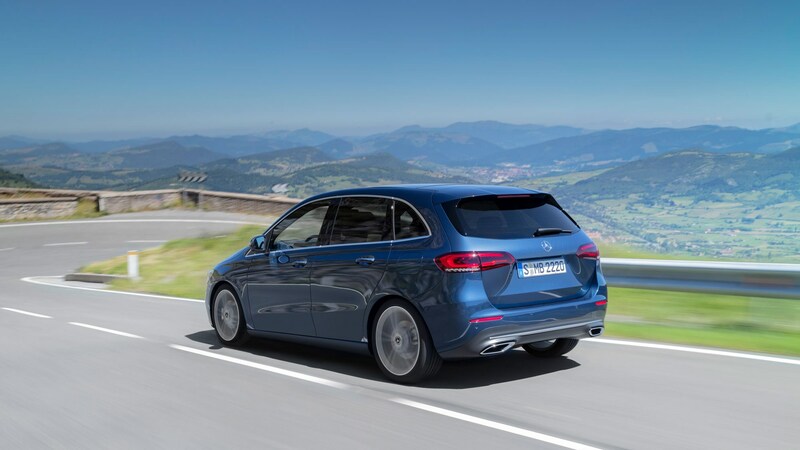 The sleek new family hold all, which goes by the codename W247, is clear proof that Mercedes isn’t abandoning the small MPV sector, as so many of its rivals are. Buyers are turning away from these cars in their droves in favour of more adventurous-looking small SUVs, but Mercedes wants to turn the tide – even though it makes SUVs, too. 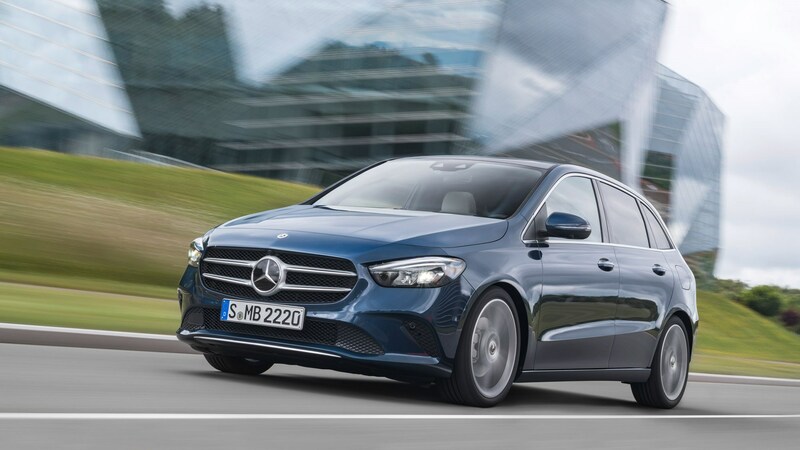 We’ve been promised the new B-class will be a step change from its predecessor, slotting into a small car range which will eventually encompass A-class hatchback and saloon, CLA, GLA, and GLB. 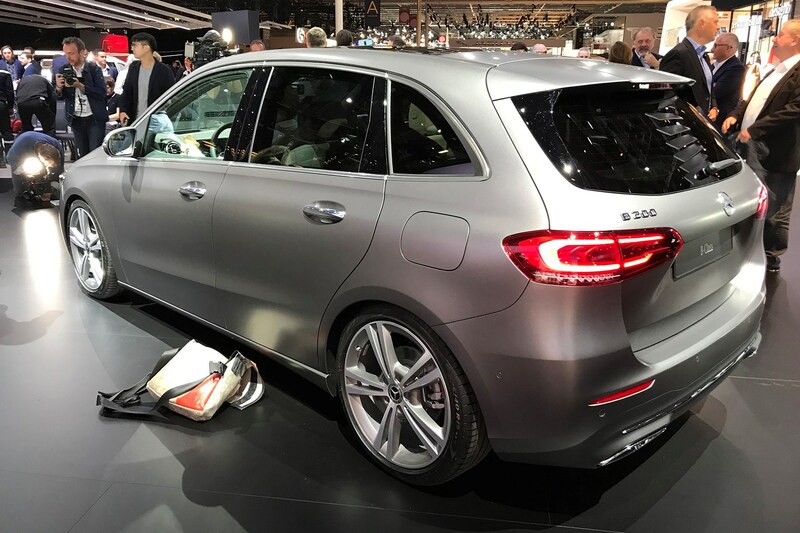 In terms of driving experience (not top priority in an MPV, admittedly), it should be vastly improved over the old model, as it’s closely based on the MFA (Modular Front Architecture) platform, which is shared – in various forms – with the above-mentioned range of small Mercedes cars. If Mercedes-Benz set out to create a better-looking small MPV than its main rival, the BMW 2-Series, it’s been successful in its aims. It gains a longer wheelbase (now 2729mm) and lower, more interesting stance, while the front end gets aggressive styling that’s shared with the CLS and everything the company has launched since. Whatever else, it’s hard not to be impressed with the car’s aerodynamics. 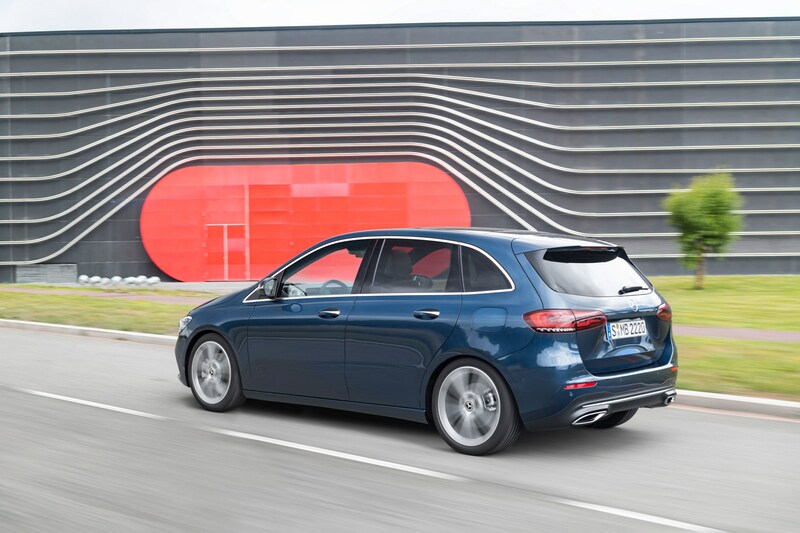 The lowered roof, sleeker front and cut-off tail all contribute to the B-class’s excellent Cd of 0.24. Mercedes-Benz says that the main benefit of this streamlined design is reduced wind noise, and a quieter cabin at speed. Mercedes-Benz B-class: what's engine are on offer? There are no major surprises here. Mercedes-Benz is backing diesel, with a decent selection of oil burners topping the range at launch, including a new, more powerful, 2.0-litre engine with up to 193bhp. These join the existing 1.5-litre diesel and 1.3-litre petrols. All engines meet the Euro 6d regulations, full details below. The big news is that the B-class gets an avantgarde new dashboard that continues the theme set by the A-class, but using a large single screen area instead of two separate ones. Standard models get a pair of 7.0-inch displays, with higher models being offered with a single 7.0- and 10.25-inch display and, in the Widescreen version, a pair of 10.25-inch displays. There’s also an optional head-up display for those feeling they need more screen time. The rest of the interior follows the latest Mercedes-Benz design language, with the dash top dominated by five round air vents, featuring the now-customary turbine design. The centre console gets an E-Class-style touch-based control and input system. 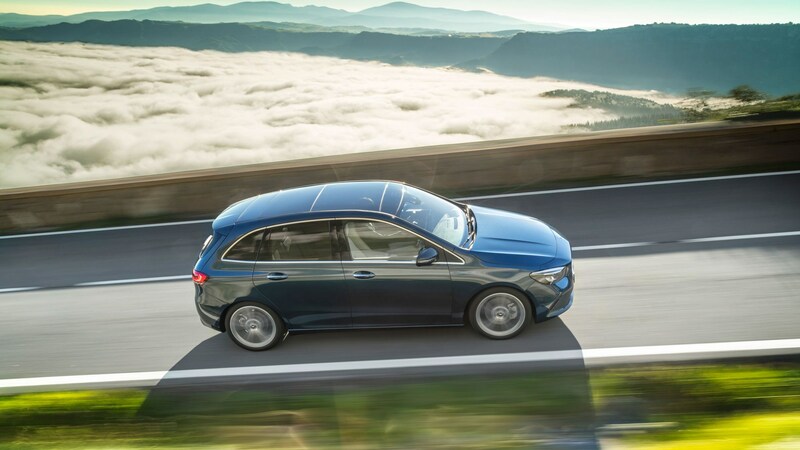 Other features previously reserved for more prestigious Benzes include highly supportive – energizing kinetics – seats, which constantly and finely adjust the seat cushions as you drive. Finally, let’s not forget MBUX. 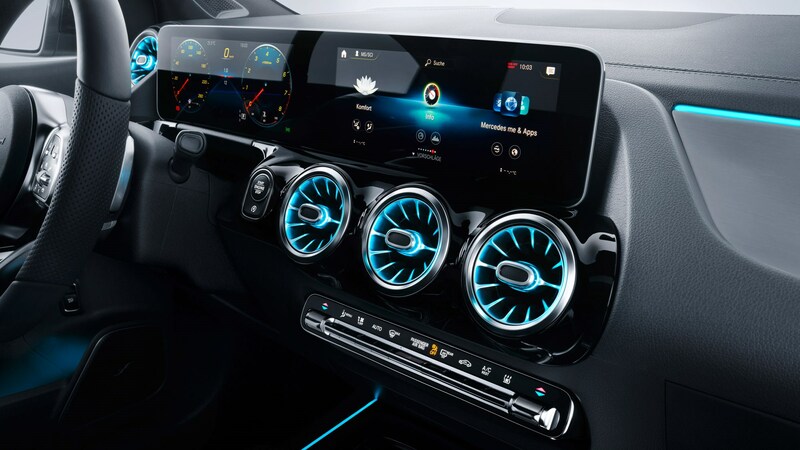 The system, which allows for more human speech recognition, can be used to control the infotainment system, which now comes with Mercedes me Connectivity. MBUX is said to adapt to the user, and it can be kicked off by saying, ‘Hey Mercedes’. Car-to-X communication and vehicle tracking, and a selection of apps you can choose from to tailor the car’s functionality as you drive. 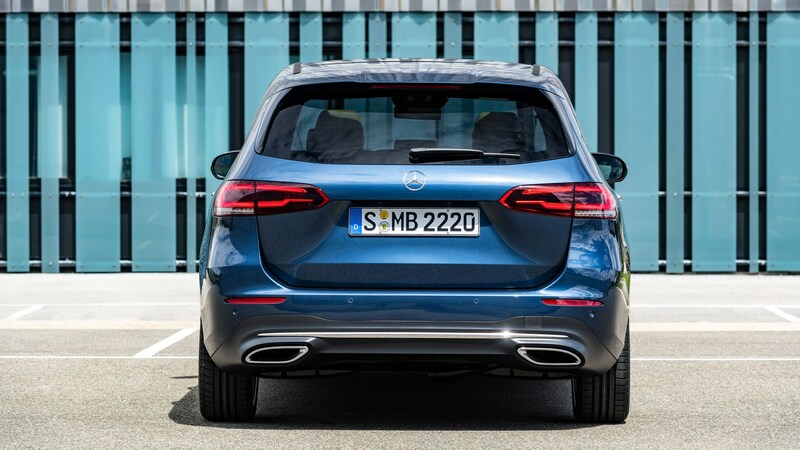 It will even support car sharing via the Mercedes me sharing app. You bet. 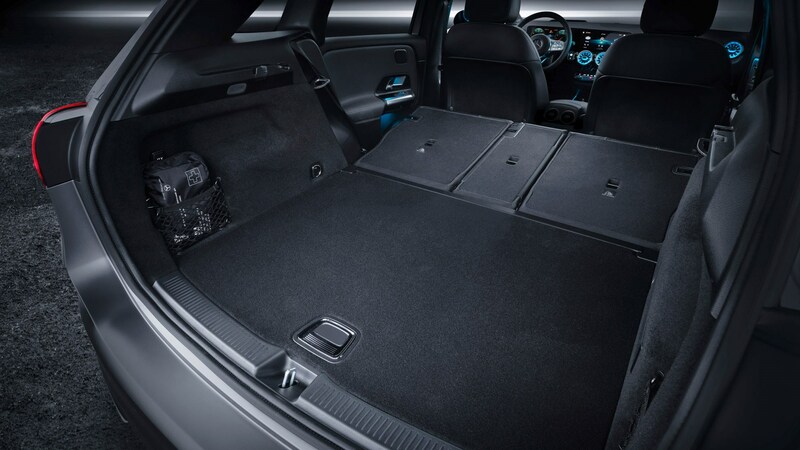 There’s more room in the rear than before, and the floor is flatter than before, meaning there’s better footroom for the middle passenger. The rear seat backrest splits 40:20:40, and some models with be available with a rear bench that can adjust backwards and forwards by up to 14cm. Boot space with the seats up varies between 455 and 705 litres, although if you load it up to the roof, it’ll swallow an impressive 1540 litres of luggage. A push-button electrically operated tailgate is available, and this can be augmented by hands-free access, operated by the wiggle of a foot under the rear bumper. 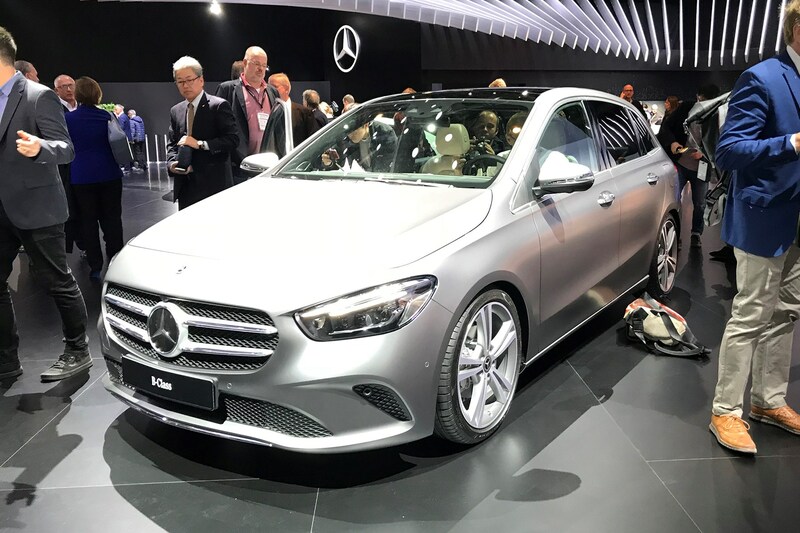 Mercedes-Benz B-class: driving assistance tech? What do you think? Where the S-class leads, the smaller cars inevitably follow, and the B-class is no exception. So, there’s a stack of driver assist packages centred around the company’s brilliant Distronic Plus adaptive cruise control system. So, it’ll drive semi-autonomously, using its built-in cameras and radar to anticipate traffic up to 500m ahead. You get Active Distance Assist, which also adjusts the speed when approaching bends, junctions or roundabouts. There’s also Active Emergency Stop Assist and Active Lane Change Assist. 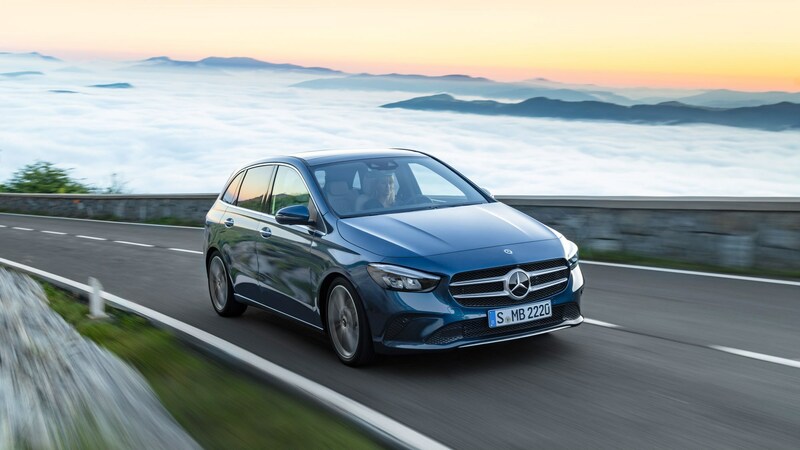 Mercedes-Benz B-class: anything else we need to know? 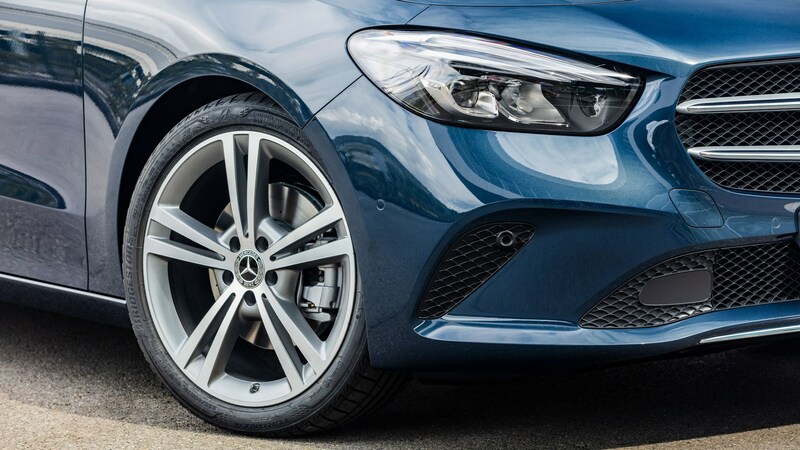 Mercedes-Benz is favouring comfort over ultimate handling, so the overall set-up has been refined, with top models getting adjustable damping via the Dynamic Select control. It receives some nice touches, such as forged-aluminium wishbones. Following fashion, it also gets two rear suspension set-ups, depending on the model. Cheaper variants get a twist-beam rear axle, while the more powerful versions receive a four-link rear end, which is made – mostly – aluminium. The question is – will buyers be able to tell the difference, or care? Mercedes-Benz B-class: when does it go on sale? Mercedes-Benz has confirmed that it’s taking orders from December 2018, with UK deliveries kicking off in February 2019 – pricing is yet to be confirmed.